Ron Niehaus received a B.S. Degree in Electrical Engineering and an M.S. Degree in Management Science from the University of Dayton. He also earned a M.S. Degree in Software Engineering from DePaul University with a focus on data science. He is retired US Air Force officer and currently works as a software engineering consultant. Ron has extensive experience in engineering project management, operations research, and data analysis. 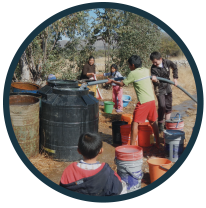 He has been a long-time member of Engineers Without Borders (EWB) and has worked on a flood mitigation project in Guatemala with EWB. 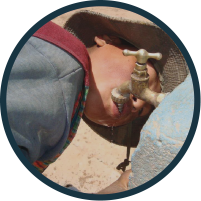 He also worked on a water distribution project with EIA in Bolivia. 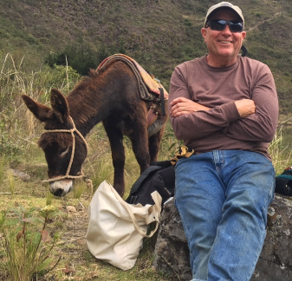 Ron is interested in evidenced-based approaches to improving the efficiency and sustainability of development projects. He was drawn to EIA because EIA has a model that sets the stage for both near-term and long-term success. First, EIA provides the sustained indigenous in-country expertise that Ron feels is critical to the immediate success of individual projects. Second, EIA provides opportunities for service learning, which engenders a sense of global understanding that is critical to the long-term success of the entire planet.